*IT IS BEST TO REGISTER FOR THE CLASS AT LEAST 60 DAYS PRIOR TO THE START DATE TO ENSURE THAT YOU HAVE A SEAT IN THE CLASS THAT WORKS BEST FOR YOU. ESI offers a PSD Protective Operations Course that parallels our world renowned Executive Protection Program designed for corporate and personal protection. The PSD Program can be taken as a full-time 28-Day Residency. 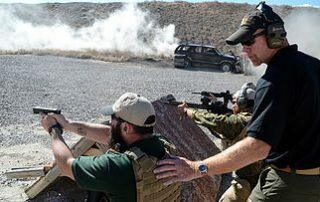 Pre-requisites for this program are; Former and current military with experience in a combat zone within the last 5 years, former and current law enforcement with experience in an active SWAT or Drug Task Force Team within the last 5 years, or a Graduate from ESI’s Executive Protection Program with a level 1 shooting score within the last 5 years. Training and experience will be reviewed on an individual basis. 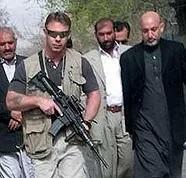 The program meets all the requirements of State Department’s Presidential Security Detail (PSD) Protocols, and goes beyond these minimum standards to meet the changing tactics of Jihadis who attack convoys, protection details and their principals daily. Defensive procedures must adapt to the ever-changing tactics of a determined and intelligent enemy. 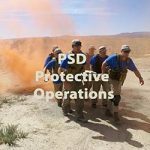 ESI’s PSD Protective Operations Course is taught by a staff that is competent and profoundly rooted in the operational side of high threat arenas. 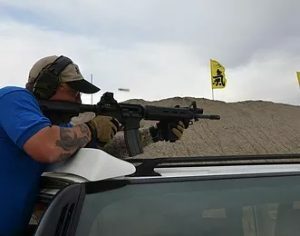 Pete Dordal: a 1984 ESI Graduate and former Marine Scout Sniper Instructor, is the principal advisor and consultant to ESI on PSD Protective Operations Program. Pete Dordal is Senior Vice-President of Garda World, the Consulting and Investigation / Global Risks Group of Garda World Security Corporation, one of the most trusted consulting, investigation and security firms in the world. Pete Dordal is the Managing Director of International Security Operations and he is responsible for the delivery of security services to a variety of government and commercial clients in Iraq, Afghanistan and the Middle East. Glen Boodry is a 1992 graduate of ESI and has over 23 years of combined military, law enforcement and federal antiterrorism and counterterrorism experience. 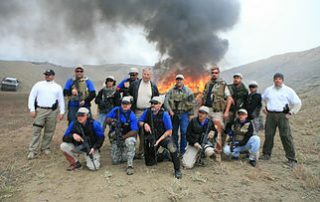 Glen has spent the last eight years as a Team Leader and training supervisor for the US Department of State’s Antiterrorism Assistance (ATA) Program – Mobile Antiterrorism Training Team (MATT-T) and is currently providing security oversight for a joint DoD/DOE – Special Access Program (SAP). Mr. Green has been affiliated with ESI since 2005 and has over twenty-five years combined experience in Special Operations and the Security field. He began his career with 15 years as a Special Forces Engineer & Intelligence Operations Sergeant, where he planned, organized, trained, advised, assisted and supervised indigenous, allied and US personnel. For the last 35 years, Bruce worked as a career paramedic firefighter with the Portland, Maine Fire Department. On average, Bruce responds to five thousand calls per year that involve the entire range of trauma care from cardiac arrest, to drug overdose and bullet wounds. Additionally he is a Tactical Medic with the Portland Police Department’s SWAT team, and is an accomplished firearms instructor. 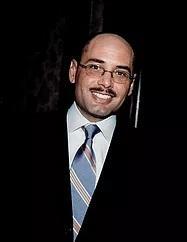 He is a noted instructor in EMS, and has taught various EMS topics throughout the country. 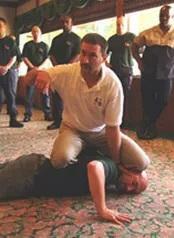 Beginning in 2010, Bruce became a Guest Combatives Instructor at the U.S. Navy S.E.R.E. (Survival Escape Resistance and Evasion) School, in Rangeley, Maine. Bruce teaches the elite troops at S.E.R.E. a unique version of Stand-Up Grappling. He is a student of longtime Carlson Gracie black belt, Julio Fernandez. He is an active and successful competitor and coach in submission grappling and Brazilian Jiu Jitsu events, including winning gold medals at the 2002 Pan American Brazilian Jiu Jitsu competition. Bruce is also a student of UFC veteran and world rated Vale Tudo, and champion, Mike Brown as well as a judge for the recently recognized M.M.A. tournaments in the state of Maine. He is constantly in demand as a defensive tactics instructor and has developed an innovative approach to training and teaching defensive tactics in realistic combative fighting. 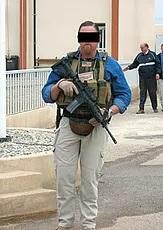 He has taught numerous police departments, SWAT teams, and EMS units his unique blend of subject control principles and tactics. 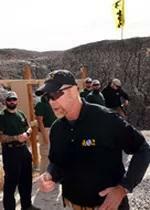 Bruce developed and taught ESI’s first responder medical course to resident students for several years and he is a Senior Instructor in ESI’s PSD Combatives and Tactical Med programs. 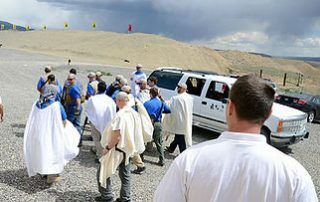 Between 1994 and 2009, Bruce was invited to Mexico to provide medical training for the governor’s protective detail and wealthy industrialists. The course will begin with an overview of the requirements, duties and responsibilities of a Protection Agent in High Risk environments, including a summary of State Department Protocols for Presidential Security Details (PSD). From the understanding of the operational procedures of enemy tactics, the principles of protection simultaneously evolve and remain constant. Universal protective principles of Cover & Evacuate, Advances, Threat Assessment and Surveillance Detection are taught as constants, but adapting to the tactics of terrorists and the changing needs of the principal. Students learn the importance of route selection, accurate intelligence and analysis. Emphasis is placed is on methods and strategy to prevent attacks on the Principal or the Team. However, the student will become proficient in the skills necessary to defend against organized assaults, Attacks on Principal (AOP) Drills, Cover and Evacuation and apply AOP Drills in simulated urban ranges. 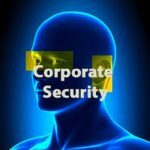 This component of the training addresses the art of conducting Protective Advances for single-agent and multi-agent details. Pre-Departure Preparations, Site Surveys, Reports and Presentations will be discussed and demonstrated. Students will perform Advances in live urban environment, and learn how the entire protective mission relies on the thoroughness of the Advance, accurate intelligence and pro-active measures. 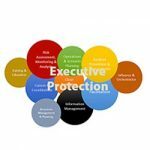 Beginning with the Principles of Protection, the course covers a wide range of activities and operational skills required on a Protection Detail. Students learn via lecture and discussion, then reinforced learning via a series of practical exercises. Technological advances have broadened the Protective Agents’ capability to effectively use the Internet, Google Earth and social networks in support of a protective mission. Students will also learn the importance of physical verification of the information derived from all sources. Instruction is provided in a format that allows the student to obtain a basic understanding of the critical role of surveillance detection in a hostile environment, and how to manage a covert counter surveillance operation. The Role of Intelligence in PSD Operations is the critical block of ESI’s Teaching Philosophy. It is based on a weeklong realistic scenario called the Red Orchestra. 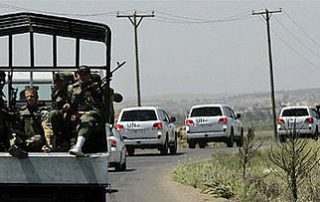 Students begin by a careful study of Al Qaeda’s training manual: “The Management of Savagery”, which is Al Qaeda’s playbook for a military/political strategy of conquest to re-establish a worldwide Islamic Caliphate. The early stage of this strategy is focused on achieving a social, economic and political state of Chaos. Students are assigned two countries, one Islamic and the other non-Islamic for country specific intelligence Threat Assessment and Management Plan for the purpose of understanding the common elements in their security threat assessments. While gaining some understanding of the effects of a religiously motivated and a secular criminal gang destabilizing a state, students will learn the dramatic impact of information leakage on a PSD team’s personal security. Surveillance activities are the foundation of a terrorist or organized criminal attack. Having the ability to detect and validate suspected hostile surveillance during the planning phases of an impending terrorist or criminal attack make it possible for the protective security detail (PSD) to deter and potentially prevent an attack. The purpose of the Red Orchestra is to expand upon the preceding Surveillance Detection and Countermeasures class by subjecting the student to actual hostile surveillance and attempts to solicit and collect intelligence information. This exercise allows the student to apply the classroom instruction received to a real world setting applicable to PSD operations. ​Discuss the critical necessity to maintain operational security (OPSEC) to ensure security of the principle and members of the protective security detail (PSD). Identify the types of hostile surveillance employed during the exercise as well as discuss the methods used to collect and solicit intelligence information. Discuss how the surveillance countermeasures and counter surveillance tactics and techniques are employed by the PSD were able to expose and validate the hostile surveillance being conducted. Identify and discuss how the information gained from the surveillance countermeasures and counter surveillance operations was used to effective plan PSD operations and deter and prevent an attack. The Combat Casualty Care (CCC) course introduces evidence-based, life-saving techniques and strategies for providing the best trauma care on the battlefield. NAEMT conducts CCC courses under the auspices of its PHTLS program, the recognized world leader in prehospital trauma education. 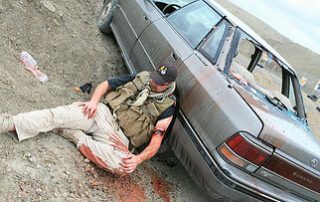 NAEMT’s CCC courses use the PHTLS Military textbook and are fully compliant with the Department of Defense’s Committee on Combat Casualty Care (CCC) guidelines. It is the only CCC course endorsed by the American College of Surgeons. 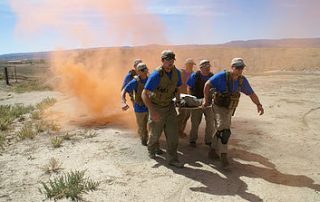 The course is designed for combat EMS/military personnel, including medics, corpsmen, and pararescue personnel deploying in support of combat operations. The course’s content and structure also can be modified for law enforcement special weapons and tactics and special response teams. 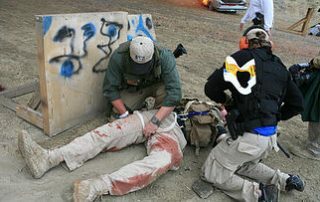 NAEMT also offers a tactical version of the CCC course for tactical emergency casualty care. PHTLS combines the expertise of world-class trauma surgeons, emergency physicians, paramedics and EMS educators. NAEMT’s CCC courses are taught by a global network of experienced instructors fully trained in both PHTLS and CCC. NAEMT maintains a strict quality control program for its instructors. To support course sites, instructors and students, NAEMT maintains a network of CCC regional coordinators both in the U.S. and internationally, and staff at its Headquarters Office. Course administration is streamlined and cost-effective. NAEMT’s CCC course is accredited by the Continuing Education Coordinating Board for Emergency Medical Services (CECBEMS) and recognized by the National Registry of EMTs (NREMT). Understand the rationale for immediate steps for hemorrhage control (including external hemorrhage control, direct pressure and wound packing, early use of tourniquet for severe hemorrhage, internal hemorrhage control by rapid evacuation, and transportation to major hospital/trauma center. 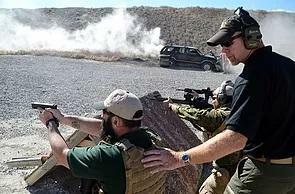 A two time Gold Medal winner in International Brazilian Grappling, Philippine and Korean fighting arts, Bruce Carleton has evolved a simplified CQC system for non-martial artists, SWAT Teams, SERE and special military units. It is a form of Stand-Up Grappling designed to blitz the opponent, suddenly and violently. This course combines elements of Stand Up Grappling, Jujitsu and Kick Boxing. 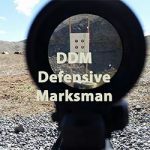 This approach is infinitely flexible in that the operator can insert weapons (blunt, edged, firearm) into the control positions…while the same tactics apply to ALL the operators, the individual pieces can be mixed and matched. For example termination can be in the form of a neck break, a rear naked choke, a spinal compression, blunt trauma, etc. 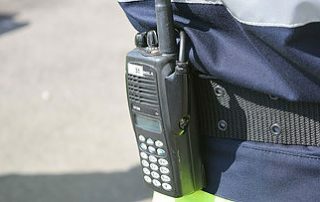 It could be that the operator initiated empty hand, and then accesses a blade or firearm from the primary control point to terminate the threat. Same holds true for restraint or incapacitation. The above blends seamlessly with STAB which is an extreme close quarter/last resort empty hand response to an all out blade assault…same tactics, same control strategy, same responses from the bad guy, same finishes (including access to firearms, blades, etc.). If follows the same 3x3x3 Rule. Therefore it is easy to assimilate to the students on top of their empty hand tactics. It is not fancy, nor is it meant to be comprehensive…covering every possible method of attack/defense. It is meant to provide a generic approach to close quarter assault survival that is flexible and a template to build from or add to if the operator wishes to. It is easy to learn, easy to teach, easy to use and works very well with resistance. 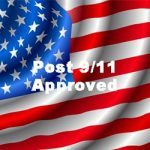 This course consists of a careful collection of documents from government agencies and private sources that analyze a wide variety of terrorist deployment of improvised explosive devices. 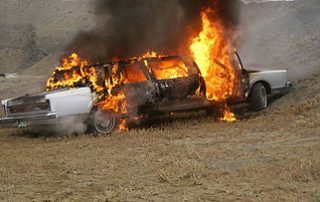 ATF documents the application of VBIEDs and IEDs by Al Qaeda worldwide, their targets of attack and the means of delivery. 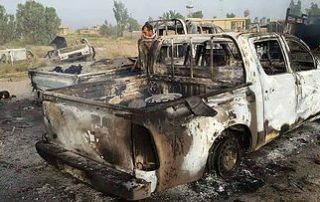 The course discusses the wide spread use of shaped charges and land mines by Al Qaeda and Insurgents in Iraq and Afghanistan that account for more than 50% of American troop fatalities. The course covers the use of suicide bombers, their motivations, recruitment and sacrificial suicide. 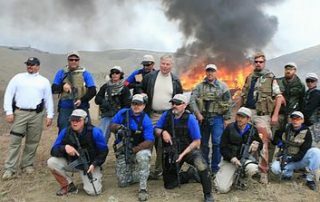 The Basic Carbine & Handgun course begins with an active inventory of shooting skills necessary to qualify with a carbine and handgun. 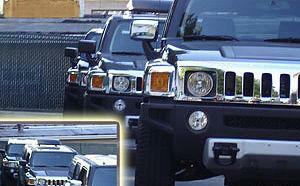 The student must be a Level 1 graduate of ESI EP Shooting Course, recent Military or current Law Enforcement service. 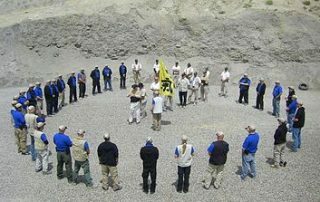 At the end of the Basic course there is a Staff evaluation of student’s basic gun safety and weapon handling for primary & secondary tactics. 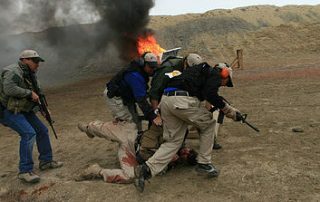 The student must pass the Staff personal evaluation to qualify to enter the Tactical course. If the student fails to pass the minimum shooting qualifications and staff evaluation, he will be awarded a Certificate of Completion. 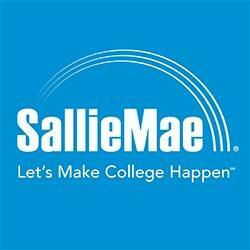 The student will have the option of returning for remedial training or terminate the Program. The Tactical Carbine & Handgun course builds on the basics and quickly moves on to higher skill sets. 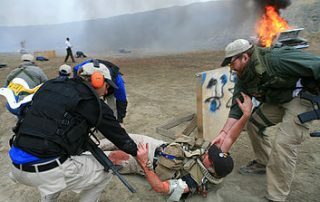 This course will stress the critical importance of immediate and aggressive reaction to assaults or ambushes. 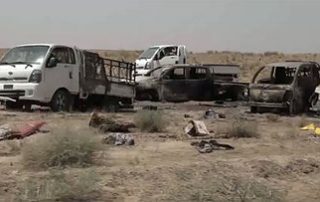 Teams will perform Immediate Action Drills (IAD) repeatedly until a coherent response of each team member can be predicted in actual convoy ambushes or protective formations. 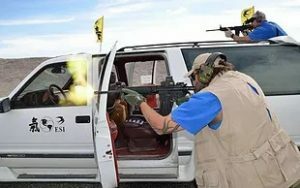 Once the student is able to demonstrate safe and accurate carbine fire in the basic building blocks of the Course of Fire, the student will advance towards tactical maneuvers in Vehicle Convoys, Assaults on Formations and Assault of Principle, Multiple Threat Response and tactical awareness skills. 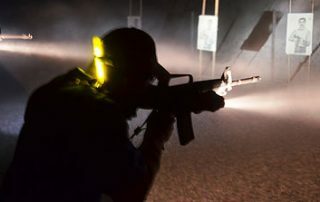 The IAD drills will focus on reaction to 360 degrees of assault, shooting positions, clearing of the weapon stoppages, re-engagement, accuracy under stress and movement. Certificate of Completion and an ESI PSD Protective Operations Credential. *Students without recent military or law enforcement experience (within the last five years) will be required to complete ESI’s 28-Day Executive Protection Program with an 80% or better in order to participate in the PSD Program. This final block of instruction is a simulated terrorist assault on convoy with pyro-techniques. Student teams are expected to respond to the assault and protect assets. The course will stress firing from moving vehicle, target engagement and response to convoy ambush. Upon completion of any of the three Core Programs, the student is awarded a Certificate of Completion. 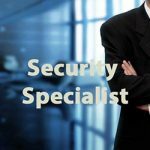 An ESI Credential is awarded for Certified Protection Specialist ™C.P.S, Certified Security Management Specialist, Certified Protective Operations Specialists and the highest award is granted for a Certified Security Specialist upon achieving ESI Standard Grade Point Average of 80% or above. If a student enrolls in the Residency format, the course is competed in a four-week period and the student is awarded the Certificate at the time of completion. 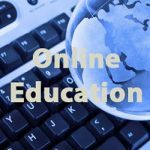 It is possible to break the four-week curriculum into smaller modules and the student accumulates credit as the modules are completed.